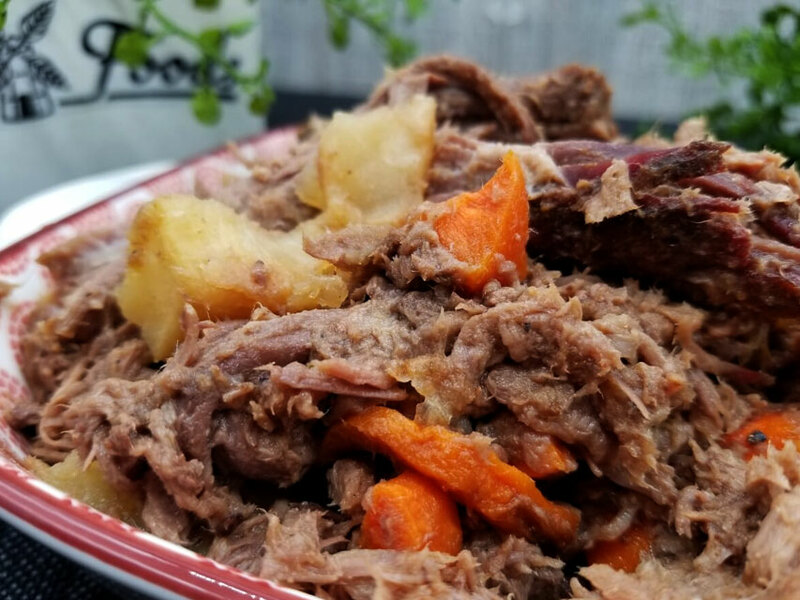 Delicious grassfed beef roast slow-cooked with organic beef broth, shredded and tossed with roasted carrots and potatoes. (easily made low-carb by skipping over the potatoes and carrots). Old-fashioned flavor – just like Nana’s!